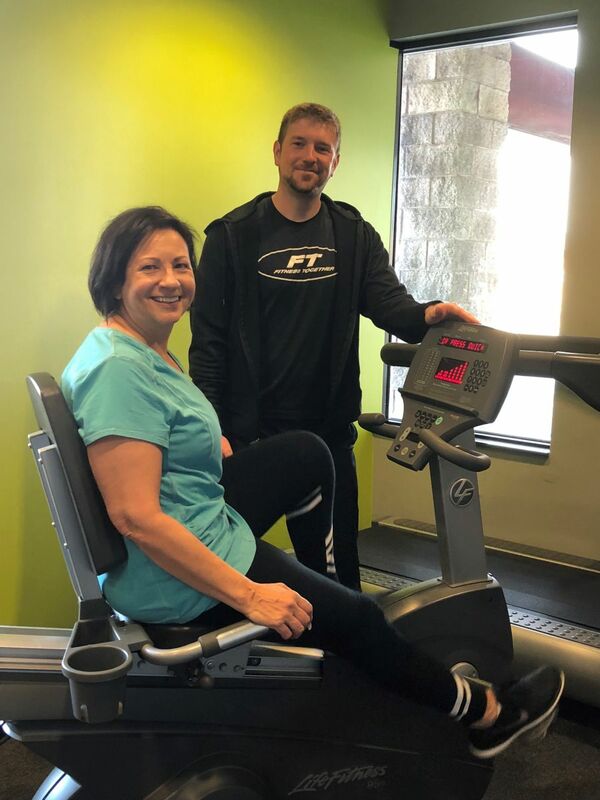 To get the answers to these age-old questions, we spoke to Jeremy Savaet, a lead trainer with Fitness Together Poland, in the Youngstown area of Ohio. Savaet is passionate about mentoring trainers, as well as working with all types of clients. Your heart is a muscle, and like your other muscles, you need to work the heart and challenge it, so that it gets stronger. Cardio exercise provides you the chance to strive for a particular heart-rate zone for a certain amount of time, to properly “work out” your heart. How much cardio should someone be doing each week? At Fitness Together, we like our clients to get 250 minutes total per week of exercise, which includes cardio and strength training. For most people, about 150 to 170 minutes of that exercise should be focused solely on cardio. What heart-rate zone should people be striving for during cardio? Based on someone’s individual fitness level, we typically recommend that they work at 70 to 75 percent of their maximum heart rate for steady state cardio (closer to 85 percent of their maximum heart-rate for intervals) — and their maximum heart rate can be calculated by 220 minus their age. If someone is just starting out an exercise program or is rehabbing their body, then we typically recommend that they work closer to 60 percent of their maximum heart rate during cardio. How should someone split up their cardio sessions each week? In order to figure out how to split up cardio workouts for the week, we sit down with someone and look at their schedule. We find out: When do they prefer to work out, when do they have the most time to work out and what is most convenient for them. Based on what will work the best for them, we put together a plan to do maybe 15 minutes of cardio after their strength sessions with their Fitness Together trainer, then we schedule another three or four 30-minute cardio sessions on top of that in the mornings or evenings. It doesn’t really matter how the cardio sessions are split up, as long as they are completing the 150 to 170 minutes a week of cardio total. What kind of cardio should people be doing? People have a misconception that cardio can only be done on the treadmill, elliptical or bike, but there’s much more than that available for people to do. We try to get people to think outside of the box and think about getting outdoors as well. Personally, I love to recommend hiking, running outdoors, cross-country skiing, swimming or rollerblading. Yet, in addition to outdoor workouts, you can also try a Zumba class, kickboxing class, or indoor cycling. Recreational sports like basketball and tennis count for cardio too. What’s most important is that people find cardio activities that they enjoy, because that’s the only way they will be consistent with them. Also, we recommend having a little variety too, and we prefer that people switch up their cardio modalities so they do a rotation and don’t get in a rut doing the same thing over and over again. Should people do their cardio before or after weights? If someone is doing both their cardio and strength sessions at the same time, we prefer that they do the strength first. That way, when they get into the cardio, their heart rate is already elevated, which is important for getting the most out of the cardio session. However, when it comes down to it, if someone can only do their cardio before the weights, then we’d rather they get it done first than not do it at all. What is Fitness Together’s Cardio Together program? When a client first starts out with Fitness Together, we put them through two sessions strictly devoted to cardio, so that they know how to do cardio outside of their Fitness Together workouts moving forward — this is Cardio Together. Then, as clients progress, we do a maintenance cardio session maybe every six weeks or so, to adjust what they’re doing for cardio to keep pace with their fitness levels as it improves. During these sessions, we also teach clients how to monitor their heart rate either through a wearable device or through the rate of perceived exertion (RPE). What’s your biggest advice on doing cardio? People seem to think that running is the best form of cardio for weight-loss, but as long as your heart rate is in the right zone, you’ll be effective, no matter what type you do. Overall, we want you to find something that you enjoy doing, think outside the box and fit your cardio into a routine that works for you.